35008001 EX60WD-2 HITACHI EX60WD-2 Wheeled excavator. Spare Parts Catalog. Service (workshop) Manual. Operator's Instruction Manual. 35008002 EX100W HITACHI EX100W Wheeled excavator. Spare Parts Catalog. Service (workshop) Manual. Operator's Instruction Manual. 35008003 EX100WD HITACHI EX100WD Wheeled excavator. Spare Parts Catalog. Service (workshop) Manual. Operator's Instruction Manual. 35008004 EX100WD-2 HITACHI EX100WD-2 Wheeled excavator. Spare Parts Catalog. Service (workshop) Manual. Operator's Instruction Manual. 35008005 EX100WD-3 HITACHI EX100WD-3 Wheeled excavator. Spare Parts Catalog. Service (workshop) Manual. Operator's Instruction Manual. 35008006 EX100WD-3C HITACHI EX100WD-3C Wheeled excavator. Spare Parts Catalog. Service (workshop) Manual. Operator's Instruction Manual. 35008007 EX125WD-5 HITACHI EX125WD-5 Wheeled excavator. Spare Parts Catalog. Service (workshop) Manual. Operator's Instruction Manual. 35008009 EX160WD HITACHI EX160WD Wheeled excavator. Spare Parts Catalog. Service (workshop) Manual. Operator's Instruction Manual. 35008011 ZX125W HITACHI ZX125W Wheeled excavator. Spare Parts Catalog. Service (workshop) Manual. Operator's Instruction Manual. 35008012 ZX130W HITACHI ZX130W Wheeled excavator. Spare Parts Catalog. Service (workshop) Manual. Operator's Instruction Manual. 35008013 ZX160W HITACHI ZX160W Wheeled excavator. Spare Parts Catalog. Service (workshop) Manual. Operator's Instruction Manual. 35008014 ZX180W HITACHI ZX180W Wheeled excavator. Spare Parts Catalog. Service (workshop) Manual. Operator's Instruction Manual. 35008015 ZX210W HITACHI ZX210W Wheeled excavator. Spare Parts Catalog. Service (workshop) Manual. Operator's Instruction Manual. 35008017 ZX300W HITACHI ZX300W Wheeled excavator. Spare Parts Catalog. Service (workshop) Manual. Operator's Instruction Manual. 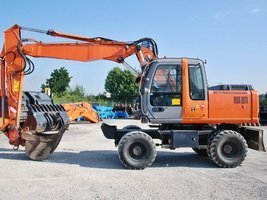 35008018 ZX350W Wheeled Material Handler HITACHI ZX350W Wheeled excavator. Spare Parts Catalog. Service (workshop) Manual. Operator's Instruction Manual. 35008019 ZX500W Wheeled Material Handler HITACHI ZX500W Wheeled excavator. Spare Parts Catalog. Service (workshop) Manual. Operator's Instruction Manual. 35008020 ZX140W-3 HITACHI ZX140W-3 Wheeled excavator. Spare Parts Catalog. Service (workshop) Manual. Operator's Instruction Manual. 35008021 ZX170W-3 HITACHI ZX170W-3 Wheeled excavator. Spare Parts Catalog. Service (workshop) Manual. Operator's Instruction Manual. 35008022 ZX190W-3 HITACHI ZX190W-3 Wheeled excavator. Spare Parts Catalog. Service (workshop) Manual. Operator's Instruction Manual. 35008023 ZX210W-3 HITACHI ZX210W-3 Wheeled excavator. Spare Parts Catalog. Service (workshop) Manual. Operator's Instruction Manual. 35008024 ZX210W - 3HCMC HITACHI ZX210W-3HCMC Wheeled excavator. Spare Parts Catalog. Service (workshop) Manual. Operator's Instruction Manual. 35008025 ZX220W-3 HITACHI ZX220W-3 Wheeled excavator. Spare Parts Catalog. Service (workshop) Manual. Operator's Instruction Manual. 35008026 ZX250W-3 HITACHI ZX250W-3 Wheeled excavator. Spare Parts Catalog. Service (workshop) Manual. Operator's Instruction Manual. 35008027 ZX360W-3 HITACHI ZX360W-3 Wheeled excavator. Spare Parts Catalog. Service (workshop) Manual. Operator's Instruction Manual.